New York creative-jazz veteran trombonist Jacob Garchik, who has worked with Henry Threadgill, Laurie Anderson, Natalie Merchant, John Hollenbeck, and Lee Konitz among others, telegraphed his intent by calling his fourth album Ye Olde. 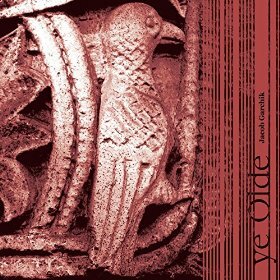 Not that this release rehashes bygone material – instead it reflects the medieval, folkloric feel to some of the compositions. In these, Garchik playfully includes known tropes, such as a royal fanfare. But in contrast to any notion that the music herein is staid or conventional, the lineup includes three guitarists and a drummer in addition to its leader. 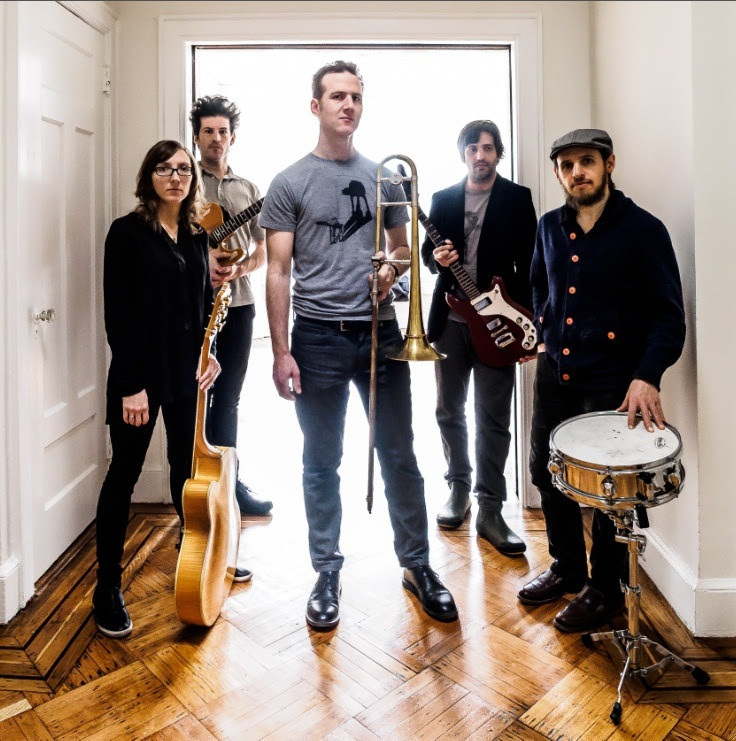 Joined by Mary Halvorson, Brandon Seabrook, Jonathan Goldberger, and Vinnie Sperrazza, Garchik takes on all horn duties, making liberal use of overdubs. Between this unique instrumentation, and the lighthearted bombast of some of the pieces, the result is reminiscent of prog rock, perhaps King Crimson in particular. Yes, Ye Olde features compositions. Despite Garchik’s chops as an improviser, what we have here is a heavily composed set of tuneful arrangements. Often, the three guitarists lay down walls of riffing, not unlike some post-rock outfits. Sperrazza fleshes out this base, while Garchik provides the melodies on top. On other tracks, Halvorson, Seabrook and Goldberger offer an amalgam of acoustic and electric themes, with restrained soloing at times, which dovetails nicely with the horns. Even though Halvorson and Seabrook, in particular, have well-known signature styles, it is remarkable how smoothly their playing integrates on this release. Garchik’s compositions brings them together in an understated, yet ready-to-boil fashion. The result is a catchy and compelling album, far from the mainstream, but with broad appeal. Highly recommended.